The United States, during the 1950s. Two officers, Ferrando and Guglielmo, are taking a vacation with their fiancées, sisters Dorabella and Fiordiligi, at the Skyline Motel near the Pleasure Garden. At a nightclub, the boys’ new friend, the cynical Don Alfonso, tells them of his doubts in the fidelity of women. He offers them a wager: He will prove that their lovers will be unfaithful, like all other women. The boys defend their fiancées and accept the challenge. The next morning, Fiordiligi and Dorabella daydream about their lovers while strolling along the boardwalk. Alfonso arrives and explains that the boys have been called away to war. After saying goodbye to their lovers, the girls are inconsolable. Despina, a maid at the motel, complains about how much work she has to do. When the sisters return heartbroken, she encourages the girls to enjoy their freedom and find new lovers, but Fiordiligi and Dorabella cannot fathom such a betrayal. Don Alfonso bribes Despina to help him introduce the sisters to two “infatuated young friends” of his, who are in fact Guglielmo and Ferrando in disguise. When the new suitors make advances toward the sisters, the girls are outraged and refuse to listen to any declarations of love. The men are confident of winning the bet. Alfonso has another plan: The young men pretend to take poison in order to gain the sisters’ sympathy. Despina and Alfonso go off to fetch help, leaving the two girls to care for the strangers. Despina reappears disguised as “Doctor Magnetico” and pretends to heal the boys with her famous vibration machine. When Ferrando and Guglielmo request kisses in order to fully recover, the sisters again reject them, but it is clear that they’re beginning to show interest in the strangers. Despina chastises Fiordiligi and Dorabella for not knowing how to deal with men. The sisters decide that perhaps Despina is right—there can be no harm in amusing themselves with the handsome strangers. They choose which man they’d like, each picking the other’s fiancée. Don Alfonso brings the girls into the Pleasure Garden to meet the boys again. 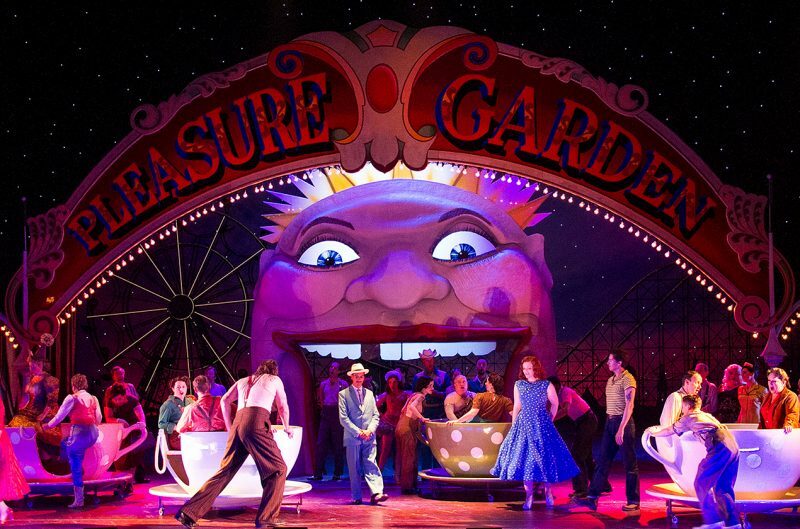 In the fairground, Dorabella responds quickly to the disguised Guglielmo’s advances. She accepts a gift and relinquishes her locket with Ferrando’s portrait. Fiordiligi, however, refuses to yield to Ferrando, although she admits to herself that her heart has been won. Ferrando is certain that they have won the wager. Guglielmo is happy to hear that Fiordiligi has been faithful to him, but when he shows his friend the portrait he took from Dorabella, Ferrando is furious. Gugliemo asks Alfonso to pay him his half of the winnings, but Alfonso reminds him that the day is not yet over. Fiordiligi condemns Dorabella for her betrayal and resolves to leave the Pleasure Garden and join her beloved at the front. Ferrando suddenly appears and declares his love for Fiordiligi with renewed passion. While Guglielmo watches helplessly, she finally accepts. Guglielmo and Ferrando are distraught at their fiancées’ infidelity. Don Alfonso encourages the boys to forgive the women and marry them. After all, their behavior is only human nature. The sisters have agreed to marry the young strangers, and Despina, impersonating a lawyer, does the honors. Alfonso suddenly announces that Guglielmo and Ferrando have returned from battle. In panic, the sisters hide their intended husbands, who return as their real selves and are horrified to discover the marriage contracts. Finally, the boys reveal the entire charade, and Fiordiligi and Dorabella ask forgiveness. Alfonso bids the lovers learn their lesson.